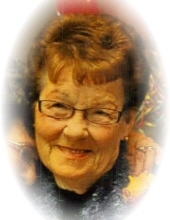 Frances Baier, age 90, of Clarinda, Iowa entered into peace Thursday, April 11, 2019 at Westridge Quality Care in Clarinda. Private Family Memorial Celebration of Life Services will be held at a later date. Memorials may be given in her name. Memories and condolences may be shared with the family on our website at, www.ritchiefuneralhome.com under Obituaries. Arrangements were entrusted to the Ritchie Funeral Home of Clarinda, Iowa, where we ‘Celebrate Life’. Viola Frances (Gilbert) Baier was born February 9, 1929, Barney, Iowa the daughter of Dana Gilbert and Florence (Fox) Gilbert. She grew up in Adair County, near Greenfield. Frances attended rural country school. She was united in marriage to Charles M. Baier in Maryville, Missouri. To this union four children were born, Vickie, Cyndee, Michael and Dana. The couple made their home in Greenfield until they moved to Clarinda in 1961. For many years she worked for Boyd’s Corner Market later she worked for Crawford Auctioneering preparing estate sales. Frances enjoyed flower gardening and feeding the squirrels. She enjoyed collecting antiques, her favorites being dolls and perfume atomizers. Frances really enjoyed her children and grandchildren. Left to cherish Frances’ memory are her four children, Vickie Christiansen of Clarinda, Iowa; Cyndee Baier of Clarinda, Iowa; Michael Baier of Clarinda, Iowa; and Dana Buck and husband Carl of Clarinda, Iowa; thirteen grandchildren; several great-grandchildren; two sisters, Velma Siglin of Woodward, Iowa; and Verna Mae Ferguson of Greenfield, Iowa; along with many other relatives and friends. Preceding Frances in death are her parents Dana and Florence Gilbert; her loving husband Charles Baier in 1986; a sister, Freda Shinn; and a granddaughter Bobbie. We will cherish the memory of Frances in our hearts. May she be at peace in God’s loving care. "Email Address" would like to share the life celebration of Frances Baier. Click on the "link" to go to share a favorite memory or leave a condolence message for the family.